Is “Bird Nesting” After a Divorce a Reasonable Aid to Co-Parenting? May 2, 2016 | Karen T. Willitts, Esq. I am always encouraged when parents who are ending their relationship strive to put aside their own personal conflict with one another to try to do what is best for their children. It is well acknowledged that it is important to children’s development for them to have consistency and stability in their lives. Children may have already experienced and witnessed discord and strife when their parents are splitting up, and may experience worry and uncertainty about what their living arrangements are going to be when their parents are no longer living together. Parents who strive to maintain a life of consistency and reduced volatility after the parents have ended their relationship should be lauded. How to put into practice the desire for consistency for the children can be difficult. 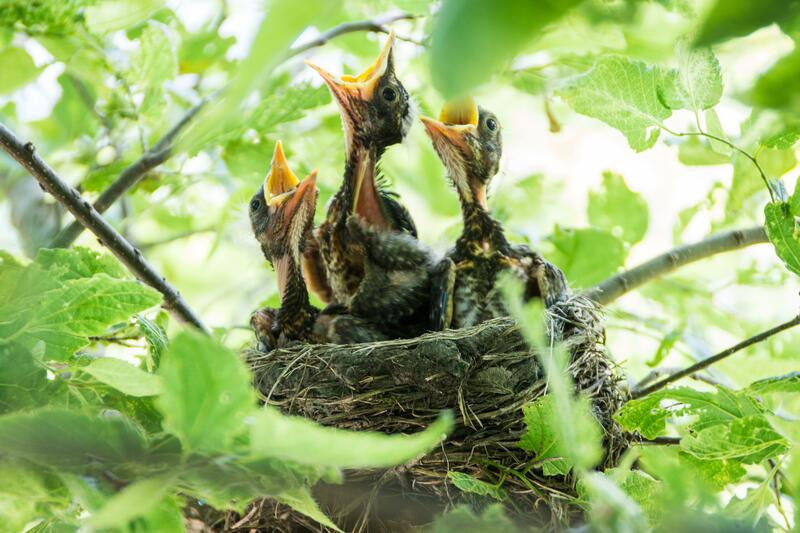 One possible parenting arrangement that has been in the news lately as various celebrities, including “conscious uncouplers” Gwyneth Paltrow and Chris Martin, have either discussed it or are utilizing it, is the concept of “bird nesting”. In the usual arrangement, after parents separate and live in separate homes, the children spend time living in each parent’s separate home, and the children have to become accustomed to the new living situation wherein the children are living in two homes and traveling between them to spend time with each parent. How much time the children spend in each home will vary on the parents’ agreement or by court order. With a “birds nest” coparenting arrangement, however, the children remain living in the family home. The parents are the ones to take turns living in the home with the children. When one parent is staying in the family home with the children, the other parent will live in a separate residence. The parties will thus either maintain three homes (the family home and a separate residence for each parent) or two homes (the family home where the children live and one other home that each parent will both stay in when the other parent is with the children in the family home). The concept is that the parents are reducing disruptions to the children’s lives by not having children shuttle back and forth between the parents’ homes, and parents may feel that this “bird nesting” arrangements continues the feeling in the children that they and the parents are still a “family” because the children are still sharing what they view as their sole home, with both parents. These arrangements are unusual. Courts have not ordered this kind of bird nesting arrangement; the parents must agree to it. It generally does not work well where one parent is the primary residential custodian. This arrangement would require an enormous ability by the parents to get along even after their own relationship has ended. They have to be able to reach agreements on not only how to share time with their children, but they have to agree on where the family home is going to be and how they are going to contribute to the expenses of that home. Parents who had disputes during the marriage over the home, expenses for a home, or how to allocate household chores and responsibilities are likely to continue to have such disputes post-divorce, which will only continue the children’s exposure to parental discord and strife, which is not in their best interest, and which may cause this type of coparenting arrangement to fail. This arrangement is also likely to fail if one of the parents has primary residential custody. If you are the parent with whom the children are going to live the majority of the time, and the other parent is going to have a more traditional alternate weekend type of arrangement, a bird nesting living arrangement is probably not going to be worth it. This type of arrangement has more of a chance at success if the parents have an equal or close to equal amount of parenting time with the children. This kind of arrangement is not often preferred by parents or recommended by attorneys. Post-divorce, parents’ lives are likely to change in ways that make bird nesting not feasible long term. Continuing to share a home, even if they are not sharing it at the same time, requires a level of communication and commitment between the parents that does not fully allow them to separate their lives and have the same kind of private lives that they would have if they were each consistently living in separate homes. Parents may simply want to have as separate a life as possible from the other spouse post-divorce, and it is, therefore, understandable that bird nesting is not desirable for the parents. If the parents are unhappy, the children are likely to be unhappy as well. One or both parents may want to form another romantic relationship with another person, may want to cohabit with another person, or may even want to remarry, or have other children with another person. The addition of third parties into the lives of each parents make a bird nesting relationship uncomfortable and possibly unworkable. One parent may change jobs and want to or need to move out of the area, which may also make bird nesting not reasonable in the long-term. Determining custody and parenting time arrangements when a parental relationship ends is important and is often an emotional process. Detailed arrangements, whatever they may be, should be hammered out and should result in an agreement or court order that suits the best interests of the children and the needs and abilities of the parents. The law office of James P. Yudes, A Professional Corporation is here to assist you.